20th April Turkey customer visit our company April 22,2019. April Turkey friends come to our company to visit our animal feed packing machine ,visit our automatic animal feed packing machine,singe monofilm vertical packaging machine, manual on bag packing machine,our automatic packing machine packing range 10-50kg, speed can reach 10-14bag/min,high speed high quality, human-computer interface ,Siemen PLC, High-pricision digital weighing sensor, Pneumatic clip bag, stable and reliable. Xinyuan company(sinran company) have about 20 years history ,Xinyuan focus on the automatic production line research and production for industries of chemical, fertilizer, food , seasoning, animal feed, salt and so on.We win widely customer recognition with our modern technology, first class products and reliable services.At last warmly welcome global agent to visit our company ,choose us is your best choice. 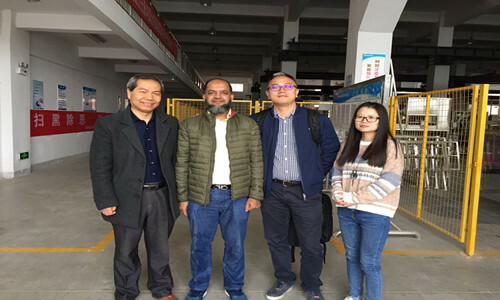 Bangladesh customer visited Xinyuan (sinranpack) April 11,2019.
thSalt packing machine Control system adopts Schneider PLC programmable controller and touch screen, has stop protection and alarm function, better human-machine interface, easier and convenient operation.The packaging film is removed directly, no need to install the film prodding rod, and the artificial grafting mechanism is added to humanize the design; The molding tube is made of concave and convex plate to reduce friction and traction resistance, so as to prolong the life of traction belt. 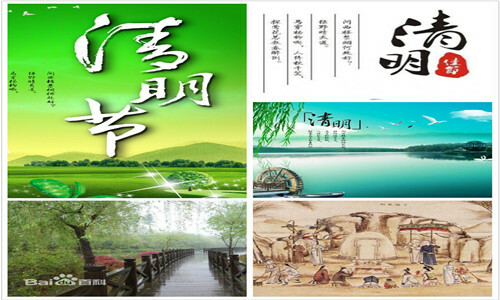 Qingming festival holiday day notice April 4,2019. Qingming festival is the grandest and grandest festival for ancestor worship of the Chinese nation. The qingming festival embodies the national spirit, inherits the sacrifice culture of Chinese civilization, and expresses people's moral feelings of respecting ancestors and respecting their ancestors. Qingming festival has a long history, originating from the ancient Spring Festival activities, the spring and autumn festival, since ancient times. The establishment of the ancient ganzhi calendar provided a predetermined condition for the formation of the festival. Qingming festival has a long history of origin, is the traditional Spring Festival customs of the comprehensive and sublimation. 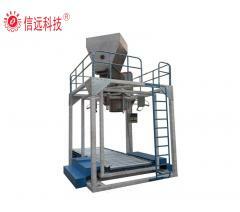 Anhui Xinyuan company will have 3 days holiday from 5th Apr il-7th April ,we will start working from 8th April(Monday),All agent please arrange you trip to visit our company Xinyuan company manufacture fertilizer batching and packing machine,now our new products Tonne bag weighing machine is also Hot selling ,if you interesting please contact with us,also welcome all over customer come to visit our company. 30th March our company greeting very important customer ,one people who is company from Yemen ,we discuss many cases in the meeting centre and visit our factory ,visit the machine working process. Xinyuan packing company is manufacture fertilizer batching and packing system ,our machine is very satisfy with customers meet ,and the customers give the high prise to our company. At last welcome people from all over the world to visit our company ,we will give our best enthusiasm to welcome you and your friends ,our company was founded at years of 2001 ,our company is a national hi-tech research and manufacturing supplier of material preparation ,mixing,weighing ,packing ,cartooning and stacjing system for powder ,granule and liquid material ,we provide our customers total project solution,customized production line design ,manufacturing ,installation and commissioning ,technical training ,after sales services. Now our company is search the global agent ,friend is the chance for you ,now action friend ,we are waiting for you to visit our company. 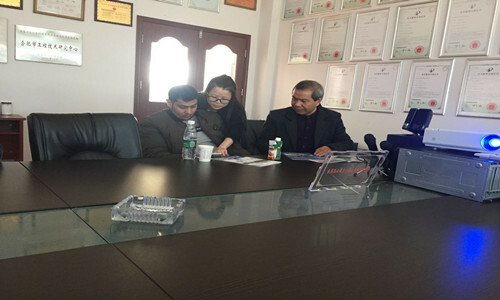 2019 zhongyuan fertilizer double trade fair splendid moment March 22,2019. Today is 22th Mar the first day of the zhongyuan fertilizer double trade fair,many people visit our company and chat with our manager. 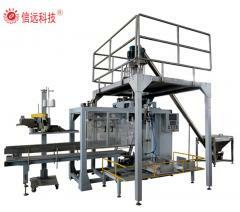 Anhui Xinyuan Packing Technology Co., Ltd was founded at year of 2001. Locates at Zipeng Industrial Zone, Anhui province, Xinyuan is a national hi-tech research and manufacturing supplier of material preparation, mixing, weighing, packing, cartooning and stacking system for powder, granule and liquid material. 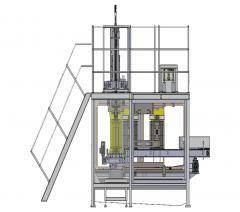 Company register capital 3.5 million USD, covers an area of 25000m2, building area 20000m2. 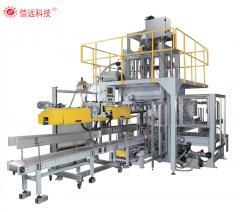 Since the foundation, Xinyuan focus on the automation production line research and production for industries of chemical, fertilizer, food, seasoning, animal medicine, animal health product, salt, feed, building material. 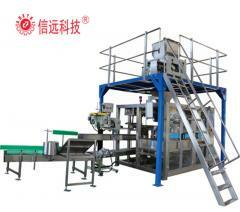 We win widely customer recognition with our modern technology, first class products and reliable services. We provide our customers total project solution, customized production line design, manufacturing, installation and commissioning, technical training, after sales services. With our 20 years experience and well trained workers, we provide first class products and best service to customers. Our business philosophy is “Be Sincere and Insist”, service principle “satisfy customer’s requirement from pre-sales to after sales” and our promise is “think for customer need, urgent for customer speed, your satisfactions is our achievement” At last Warmly welcome all the agents and customers will visit our booth to discuss cooperation,not only best quality,but also best service provided,providing every customer the best packing machine,the most perfect training,the most timely service,concern and care for each customer who trust on us and choose us. 3.15 World Consumer Rights Day March 15,2019. "International Consumer Rights Day" is on March 15, be determined by international consumers union organization in 1983, the purpose is to enlarge the propaganda of consumers' Rights and interests protection, get all the attention in the World, in order to promote the cooperation and exchanges between countries and regions Consumer organizations, to better protect Consumer Rights and interests in the international scope. 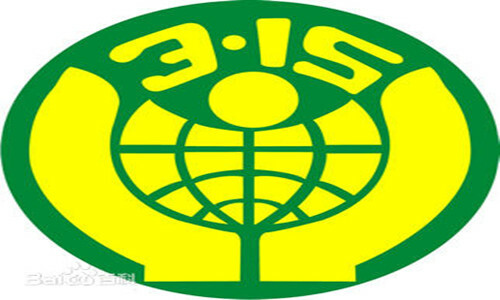 The choice of such a day as the "international day of consumer rights and interests", is also to expand publicity, promote the cooperation and exchanges of consumer organizations around the world, in the international scope of attention, to promote consumer protection activities. As roda fong parkin, President of the international consumer federation, said, "the interaction of people, the exchange of products, the activities of technology and communication, and so on, require us to think and act globally." "Consumer organizations in every country should be included in the worldwide fight for consumer rights," she added. As this struggle continues each day, we are choosing a day each year to make our voices heard on behalf of our customers and to gain the mental momentum to work toward our future mission. 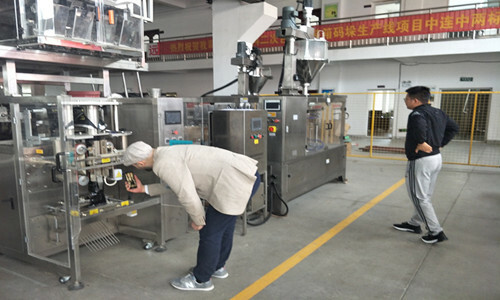 Anhui xinyuan packing technology co., LTD, adhering to the "Be Sincere and Insist" concept, adhere to responsible for the consumer, the customer to be accomplished both in quality and quantity of orders, xinyuan company's new product has been big bag of high-speed packaging machine sample is successful, looking forward to more customers can feel xinyuan company's product quality, welcome colleagues from all walks of life to have to visit! Xinyuan pack will attend 2019 zhongyuan fertilizer double trade fair March 14,2019. XINYUAN PACK(SINRAN PACK) will attend 2019 zhongyuan fertilizer double trade fair to expand our market ,sinran pack focus on the fertilizer automatic production line research and production for industries of chemical ,fertilizer,food, seasoning ,animal medicine ,animal health product ,salt ,feed ,building material. 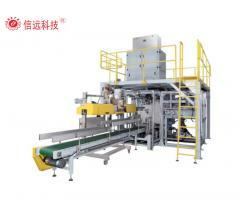 We win widely customer recognition with our moden technology ,first class products and reliable service. Warmly welcome all the agents and customers will visit our booth to discuss cooperation,not only best quality,but also best service provided,providing every customer the best packing machine,the most perfect training, the most timely service,concern and care for each customer who trust on us and choose us. 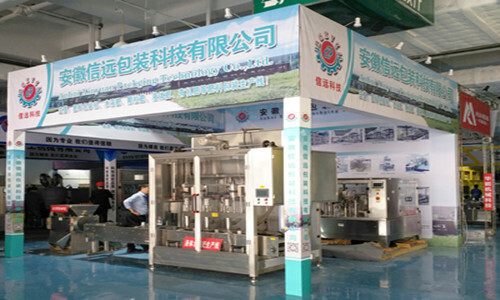 Venue: 2019 zhongyuan fertilizer double trade fair Time:Mar 22-23 Our Booth:T69 Email:info@sinranpack.com Fair introduction: Since 2019, the zhongyuan fertilizer double trade fair has been held for 15 sessions, which has played an important role in serving the development of modern agriculture in the province, building a platform for production-demand trading and exchange, promoting the standardized development of agricultural materials industry, and maintaining a good and orderly market environment for agricultural materials. 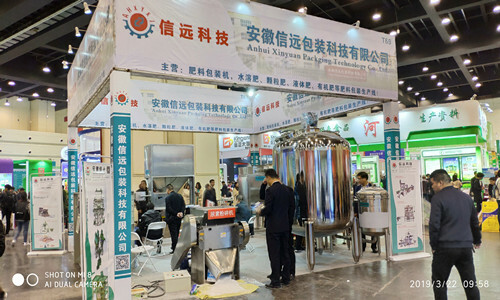 In order to push forward the supply-side structural reform of agriculture, accelerate the innovation and application of agricultural science and technology, promote the integration of agricultural resources industry, promote the continuous increase of farmers' income, and realize the green and sustainable development of agriculture, "2019 zhongyuan fertilizer double trade fair "will be held in zhengzhou international convention and exhibition center on March 22-23, 2019.
International Working Women's Day March 7,2019.
International Working Women's Day (IWD) is the United Nations Women's rights and International peace Day or the United Nations Women's rights and International peace Day. 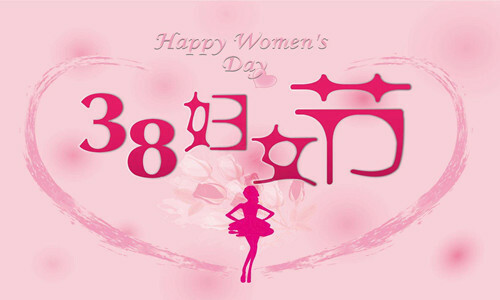 It is on March 8 every year to celebrate the important contributions and great achievements made by women in the economic, political and social fields. Xinyuan packing company provides each female employee with RMB100 welfare, Leaders give cordial care and greetings.